U.S. consumers have over $1 trillion in revolving debt as of October 2017, according to the Federal Reserve. This debt, made up mostly of credit card debt, is at its highest level since January 2009. If you are struggling with a high credit card balance, know that you are far from alone, but you need to get it paid off. Sometimes, though, we make mistakes when trying to pay off our credit cards. These mistakes can make eliminating this high-interest debt more of a challenge. These are the mistakes you should never make when paying off your cards. This may sound obvious, but if you are trying to eliminate your credit card debt, don’t keep charging new purchases on your credit cards. Every new charge results in more dollars that you have to pay off. And at an interest rate that could be as high as 20 percent, even small purchases add up. To avoid being late on your payments, you’ll have to make a minimum monthly payment set by your credit card provider. Paying this on time will keep your credit score in good standing. And you should, by all means, pay at least the minimum every month. Here’s an example: Say you have $6,000 of debt on a card with an interest rate of 17 percent. If the minimum monthly payment is 4 percent of that debt, and that's all you pay each month, it will take you more than 11 years to pay off that $6,000. You'll also pay more than $3,000 extra in interest. Maybe your debt is sky-high on one credit card, but low on another. Don’t think that suddenly switching to your low-debt card will help. Switching from one card to another is just an illusion that you’re making a change. 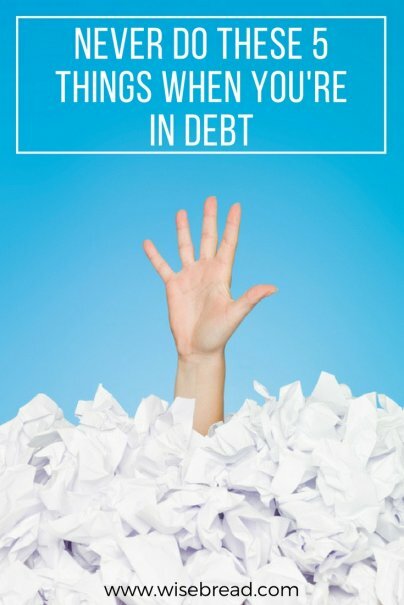 You’ll still be adding to your credit card debt. Your best move is to start paying for your purchases with cash or your debit card. Making a budget sounds like a chore, but it’s not that difficult. You’ll need one if you want to maximize the amount of money you’ll devote each month to paying off your debt. Add up your monthly revenue and estimate your monthly expenses, including items that remain the same each month (such as your mortgage and car payments) and those that fluctuate (such as eating out or groceries). Once you total your expenses and revenue, you’ll know how much money you should have left over each month. You can then determine how much you can use for paying off your cards. If you’re committed to paying off debt, you might be tempted to send as many dollars to eliminating it as possible. That’s good. Just be sure you don't neglect your savings in the process. Yes, paying off debt with high interest should be your priority. But you also need to build your savings. What happens if your car suddenly needs an expensive repair? If you don’t have an emergency fund, you’ll have to use your credit card to cover those repairs. That will just add to your debt.